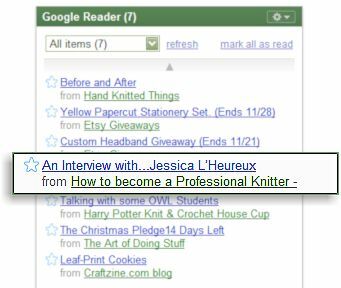 Knit Up & Dye Podcast, Yarn & Knitting Patterns: How to Become a Professional Knitter Interview. My Google Reader had my name on it this morning! I consider it a huge honor to be interviewed by Robin Hunter. Please take a moment to visit the interview and then be sure to "follow" Robin's blog. There is an amazing wealth of information presented there. Loved the interview! Your hats are beautiful! Who taught you to knit, I expect that someone is very proud today.